By now everyone has learned that this week President Obama presented his plan, which will need Congressional approval to enact, to refinance homeowners’ underwater mortgages which are not held by Freddie or Fannie. This is different from President Obama’s Refinance plan 2.0, which only offered refinance assistance to homeowners with underwater mortgages held by the GSEs. These two ideas are clearly an improvement over the original HAMP and HARP programs which, though designed to refinance 4 – 5 million homeowners, have just now broken the 750,000 mark. This poor result comes years after the plan was introduced, and in spite of the Fed having pushed trillions of dollars through to keep mortgage rates lower. Design of the original HAMP and HARP revealed a lack of talent and sophistication on the part of government to understand that this program would not come close to refinancing 4 – 5 million people. 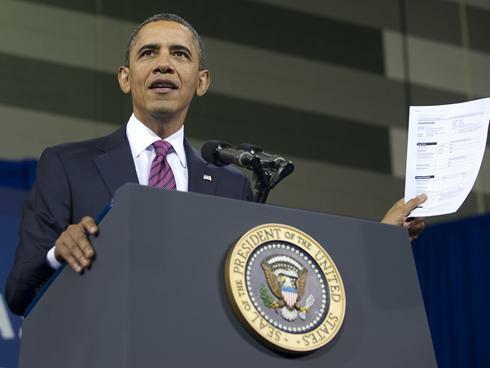 So will Obama Refinance Plan 3.0 help the housing market? The quick answer is “no.” As discussed in a previous article, Obama’s Housing Plan Won’t Cure What Ails Us. The problem in the housing market is not that people can’t refinance, the problem is we simply do not have enough qualified buyers, excluding cash buyers, to absorb our country’s true massive inventory. Basic economic rules of supply and demand haven’t changed in this century. Even though interest rates are at historic lows, and home prices have depreciated significantly, demand remains anemic and this is why home prices go lower. We have always advocated that finding a way for qualified home buyers to refinance at these lower rates would be a good thing because it would provide more disposable income into the hands of those who can afford their homes. However, Obama’s plan is a streamlined process which does not require income verification, and only requires that the homeowner has made timely payments in the last six months. This will undoubtedly lead to another government bailout, this time by the FHA. The FHA leverage ratio is already high, and will expand under this program. The FHA was not designed to be such a large player in the home purchase market, and now it is going to be asked to become a player in the refinance market. No plan is perfect. This plan likely won’t pass Congress. To call this a housing recovery program would be erroneous. I still haven’t seen any evidence that someone comfortably paying 6% on their home is going to walk away from their house, take that financial hit on their credit because they can’t get a 4% rate. This plan is a stimulus package for those who can get it. It will give them more money at the end of the month to spend, save or invest. However, the real problem in housing is we don’t have enough buyers.